At Jutland the British fought as two fleets, the Grand Fleet and the Battle- Cruiser Fleet. The Germans fought as one. 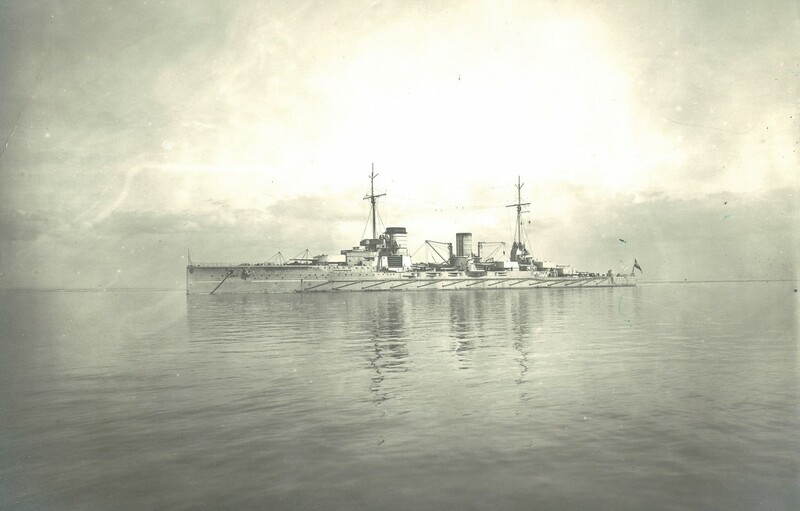 Hipper’s battle-cruiser forces – appropriately named Entdeckungsflotte, or scouting groups – acted first and foremost as an extension of the High Seas Fleet, leading the way and communicating back vital information to Scheer. Jellicoe was wary of too much reliance on WT, especially prior to battle. He felt that it was too transparent and could give away too much information to the enemy. The implication of this was the need to bunch forces to keep within visual signaling distance and limit the effectiveness of throwing out wide nets of scouting forces. How well was Jellicoe supported by battlefield intelligence? In brief (with the exception of Commodore Goodenough, whose performance was exemplary), appallingly. Beatty’s communication of vital updates was also minimal. 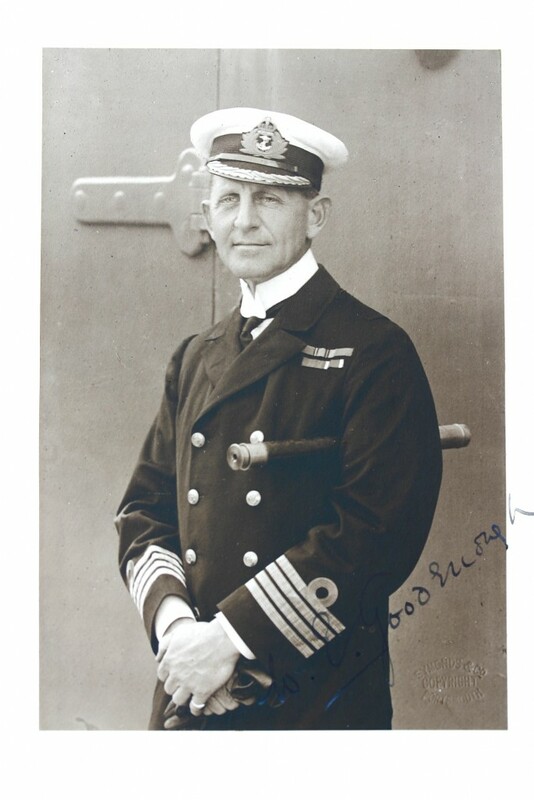 Jellicoe heard of the loss of the Invincible and the Queen Mary only at 11.00 am on 1 June, on the morning after the battle ended, and only when the question was directly put to Beatty. At this monumentally crucial moment, the battle cruisers failed in a major role: fast scouting. Beatty’s first signal to Jellicoe (at 4.45 pm the day before) was wrong on the enemy disposition as well as his location. Between 4.38 (when fire was opened by Beatty’s battle cruisers) and 5.00 pm, Jellicoe received five reports of the whereabouts of the German High Seas Fleet: three were from Goodenough but they all varied on the actual enemy position. The Admiralty’s signal referring to a directional intercept at 4.09 pm was discarded as being outrun by events. Beatty’s only signal was scrambled in transmission; and when Beatty finally closed with the Grand Fleet, he lost sight of Scheer. At 6.01 pm Jellicoe signaled Beatty, asking for updates. The reply came back: “Enemy battle-cruisers bearing south-east” (there was nothing about the enemy battle fleet). At 6.14 pm Beatty signalled to Jellicoe: “Have sighted enemy’s battle fleet bearing south-south-west”. Jellicoe’s decision to deploy to port was made in the space of two minutes with practically useless information from his key commander. That the dead reckoning was out by 11 miles – the Iron Duke’s by four miles and the Lion’s by seven – might suggest that almost any information coming through would be fairly misleading but the frustration in Jellicoe’s final signals to Beatty were glaringly clear in Jellicoe’s wording of the signal. Jellicoe’s deployment was based on pure intellectual deduction, taken under extreme pressure, weighing up the assumed course and speed of the enemy, the setting sun’s position in the west, wind direction, deployment time and Scheer’s possible escape routes. This enabled him to cross the enemy’s “T” three times, scoring more hits in short bursts of visibility than Beatty had managed to obtain. But Jellicoe was in the blind. He was also critical of his own actions. He wrote, for instance, that he should have sent Commodore Le Mesurier ahead of the Grand Fleet when he was not getting the information that he needed. Observers on the Canterbury and the Falmouth saw Scheer’s first battle turn and reported nothing. Captain A.D. Doyle of the Malaya and Captain M. Woollcombe of the Valiant both spotted “significant ships” passing. They did nothing. The Champion’s Captain Farie and the Faulknor’s Captain Stirling also did – the latter tried to pass on information. The Moltke was allowed by the Thunderer to pass right by. As the latter’s captain later said: “It was inadvisable to show up the battle fleet unless obvious attack was intended”. At 10.30 pm she had edged over to the port towards the Grand Fleet and been seen as a dim outline from the ships of Rear-Admiral Jerram’s 2nd Battle Squadron. The Seydlitz had a miraculous escape, maybe more so as she passed three British dreadnoughts without getting fired upon, apparently – according to some accounts – using the British recognition signal “J” and being answered. She had even passed down the starboard side of the British battle line and was first seen by the Agincourt. She was passed by the Marlborough, which reported seeing “a large ship” but did not fire. Those on the Thunderer thought that the Seydlitz was a destroyer. Consequently they signaled nothing not wanting to betray her own position. The light cruisers the Boadicea and the Fearless decided not to attack: “It was too late to fire a torpedo when she could be identified”. Seydlitz was also seen from HMS Revenge whose 6” gun crews had been ordered to fire but the guns weren’t manned. The chance was missed. The exhausted gunners had been watching the night action as though they were at a fireworks display.